Collage, acrylic and spray paint, 22 x 17 in, 2009. 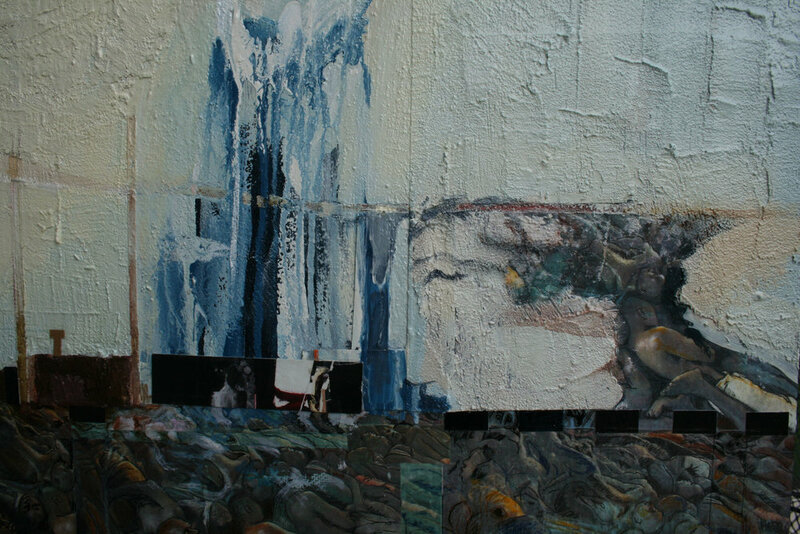 Larry Walker specialized in Painting, Drawing and Mixed Media/Collage. He was born in Franklin, Georgia in 1935 and grew up in New York, N.Y. He received a B.S. in Art Education in 1958 and a M.A. in Drawing and Painting in 1963.